Texas A&M University System institutions located near the Gulf Coast can rest easier about the safety of their data and the functionality of their information technology systems should another storm like Hurricane Harvey make landfall. On Thursday, System officials announced the launch of the South Texas Data Center, which will efficiently enhance System operations while providing a safe location for data storage. Located far from the coast on the campus of Texas A&M University-San Antonio, the data center services all of the System’s academic institutions in the region, including Texas A&M University-Corpus Christi, Texas A&M University-Kingsville, and Texas A&M International University in Laredo. 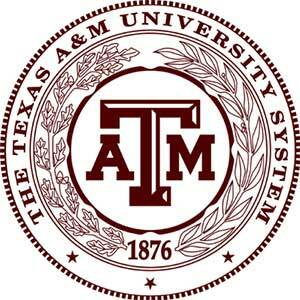 “This is a great example of the benefits to a university of being in a system,” said A&M System Chancellor John Sharp. “By pooling System resources, we are able to provide necessary technology and services to multiple universities in a way that both saves money and offers better services from a safer location than these institutions can provide individually. TAMIU president Dr. Pablo Arenaz concurred, noting that collaboration between System south Texas campuses is historic. “No matter the challenge, the South Texas institutions of the A&M System have been strong collaborators for years, sharing facilities and resources when one of our members is challenged. Knowing that all our vital data is safe and secure if faced with a situation like Harvey, means we can securely continue off-site operations if need be,” Dr. Arenaz noted. A&M System Chief Information Officer Mark Stone said this Center has been in the works since early 2016. Knowing that the System wanted to consolidate data center operations into a single South Texas location, the CIOs of the participating universities banded together and proposed a software-defined data center solution. The South Texas Data Center is a virtual and distributed data center model. It is part of a larger effort on the part of the four South Texas universities to strategically place infrastructure and network capabilities to ensure operations and reduce downtime in the event of natural disaster. Dr. Leebrian E. Gaskins, TAMIU associate vice president of Information Technology/chief information officer, said the initiative has strengthened the partnership between A&M System South Texas institutions. “As is often said in South Texas, “somos unidos” – we are united. We each bring our strengths together through the South Texas Data Center to support each other in facing the unique challenges of our region,” Dr. Gaskins said. “When Mark Stone asked the South Texas institutions to lay out a vision for a regional datacenter in South Texas, we realized that this would need to be accomplished within budgetary constraints. Fortunately, Mark also gave us the latitude to think outside of the box to accomplish this. By using newer technologies and strengthening our collaboration, we found it was possible to construct a distributive data center between us. This provided each partner with vital disaster recovery services while maintaining costs,” Gaskins explained. He noted that the shared vision of the project helped drive the importance of collaboration. “I would offer a special thanks to my institutional counterparts and the executive administration at TAMU-SA. This project, which enable us to safeguard crucial data for each campus, could not have been accomplished without the spirit of collaboration and support between all campuses,” he concluded. For additional information, contact the TAMIU Office of Public Relations and Information Services at 956.326.2180, email prmis@tamiu.edu, click on tamiu.edu or visit offices in the Sue and Radcliffe Killam Library, suite 268.